Public service, dear readers. Because I love you all. Char. I only have three accounts, BPI, BDO, and Unionbank, so I can only tell you about these three. 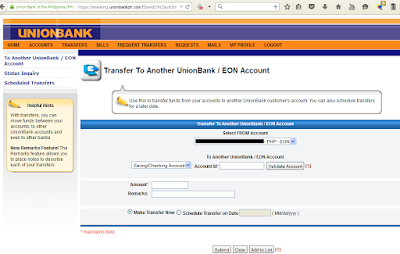 If any of you have other accounts, feel free to share on how to transfer online in your bank. 2. Under the welcome messages, below "Accounts", click "Transfers". 3. You will be forwarded to the "Transfer Funds" page. 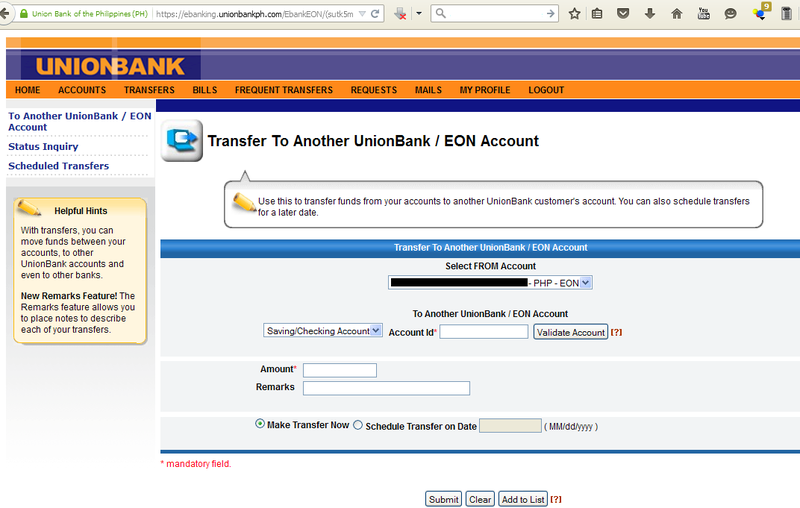 Just click "To Another Unionbank Account". 4. Just type in the account data to whom you are transferring money and the amount and you'd be prompted for your transaction password. Easy peasy. 2. Under the "Navigate" tag, near the bottom, click "Send Money". 3. Under "Choose an Option", click "Send Money to an Unenrolled BDO Account". 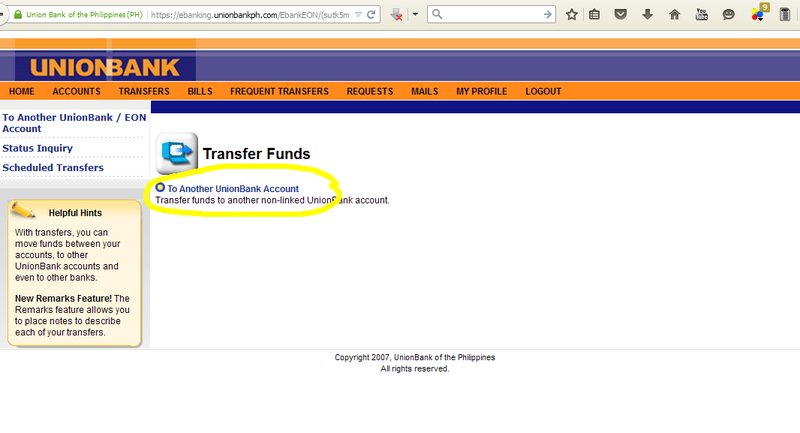 Transferring money to other unenrolled BPI accounts does not work on PC-based browsers (Firefox, Chrome, IE). You have to download the app first to your phone. 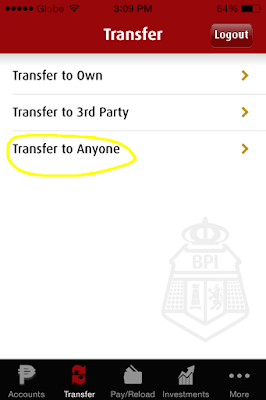 BPI has apps for IOS, Android, and Symbian (for Nokia phones). 2. Tap "Transfers" at the bottom of the screen. 3. Tap "Transfer to Anyone". 4. 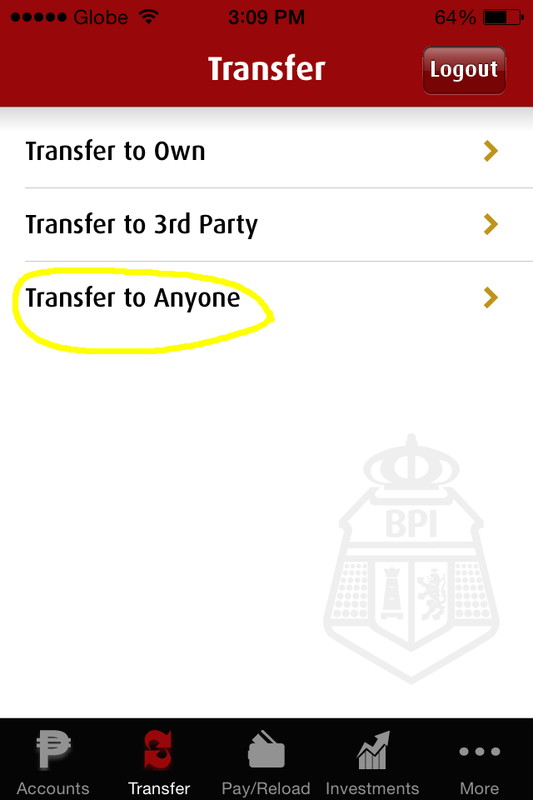 If you have just downloaded the app, BPI will send you an activation code that you must key in. Then you can proceed with the actual transferring of money by filing in the account data and amount and confirming the transfer. This only works when transferring within the same bank. If you want to transfer, say, from Unionbank to BPI, there is an interbank fee and the transfer isn't real time -- it takes approximately three days for the money to be deposited to the recipient account. So there, dear friends. Hope this helps. Let's be frugal together! Interbank transfers also work for BDO to Metrobank, and vice versa BDO and Metrobank to other banks. It has a 100-peso charge, which, as pointed out by Mr. E, is quite fair, given the time and money you're going to use to actually go to the bank. Also, INTER-BANK will also work for BDO and Metrobank (though I haven't tried sa BPI yet). May charge lang na 100. But hey, it's INTER-BANK naman, wala akong reklamo dun. lalo na if kaiangan ko pa pumunta sa kabilang bayan, magbayad ng toll fee, at pumila sa branch para lang mag-deposit. Hi, P! Thanks sa info! Will add. 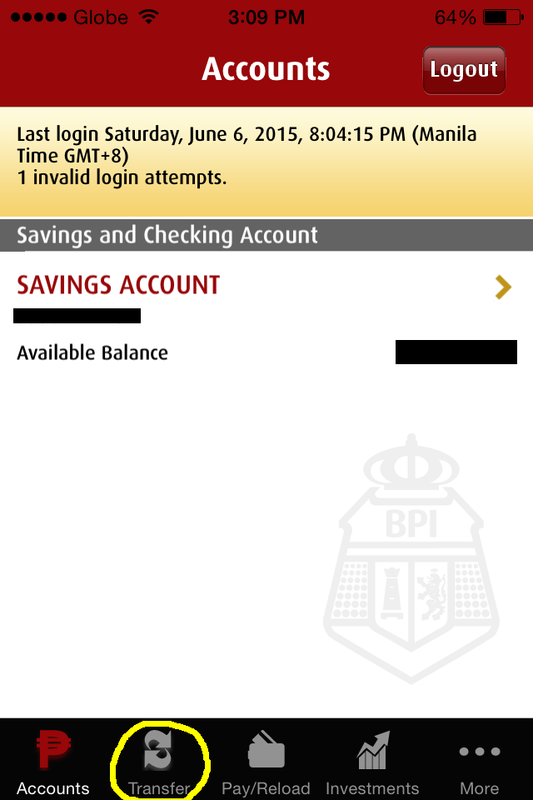 I have a BPI account too (may online din) pero I prefer the interface of BDO. Saka I'm starting to appreciate their security feature re: text password. Yun lang minsan, bad trip kapag nasa dead spot ako. Sa BPI naman naalala ko, I love their queueing system online. I can make deposit and pay bills, without making antay sa pila. (conyo teh? haha) When my colleagues discovered that I have online facility sa BPI, ayuuun dyosko.. ano ako? pambansang queuing system? 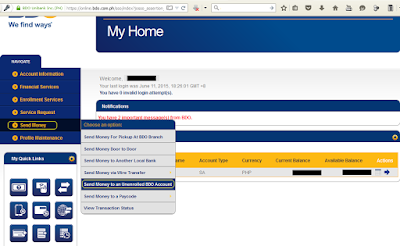 I planned to open a Union Bank account, for the purpose of withdrawing my paypal earnings. Sila lang kasi yung may facility and zero transaction charge. Unlike BDO and BPI, Php 250 agad bawas sa withdrawal. Yun lang, hindi ko na mahanap branch nila sa marikina. I find BPI the most convenient dahil dun sa online queuing nila, plus may couch sila sa branches. Sa BDO, they make people queue, kung minsan parang takilya sa hit na hit na pelikula...nakakainit ng ulo. Parang is it too much na bumili ng couch and automated number calling? Wala akong maramdamang pagmamahal ng BDO sa clients. Isa pa ang Metrobank. Naku...huwag na nga lang, iinit lang ulo ko eh Lunes na Lunes. Kala ko dito lng samin na bdo branch yung nakatayo ang mga tao meron din pla sa ibang branch. Sa dami ng nacocollect nilang pera sa mga depositors di maayos serbisyo nila. Nung tumawag nga ako sa customer service nila nung biglang nagka-otp ang paglogin sa online eh wla nman nagtetext sa cp ko, aba ang solution nya eh bumili daw ako ng ibang sim card!! At binabaan agad ako ng phone eh nagtatanong pa ako. Honeypie, sinabi mo pa. I don't feel any "love" from them, given that sa depositors nanggagaling pang-invest nila. Nangyari na sa akin yan, I received OTPs sa online log in, eh hindi naman ako nag-log-in, tapos paulit-uli. Parang may glitch system nila and they had to suspend my online account while they were investigating it, which took them a month. Lahat ng branches nilang napuntahan ko walang couch. Puro pila. Herded like cows ang customers. 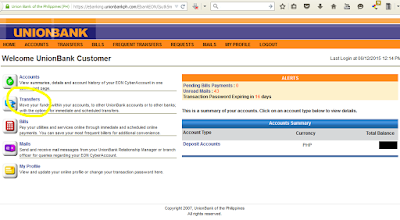 I have BPI, BDO, and Unionbank and trulyly, I love the convenience of online banking! I just learned though that you can easily transfer na from BDO even if you haven't enrolled the account yet. 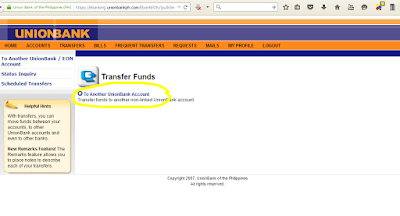 Dati kasi you have to register the account you're going to transfer the funds to before you can do the transfers. Yay! I learned something new today :) Salamat sa tip! 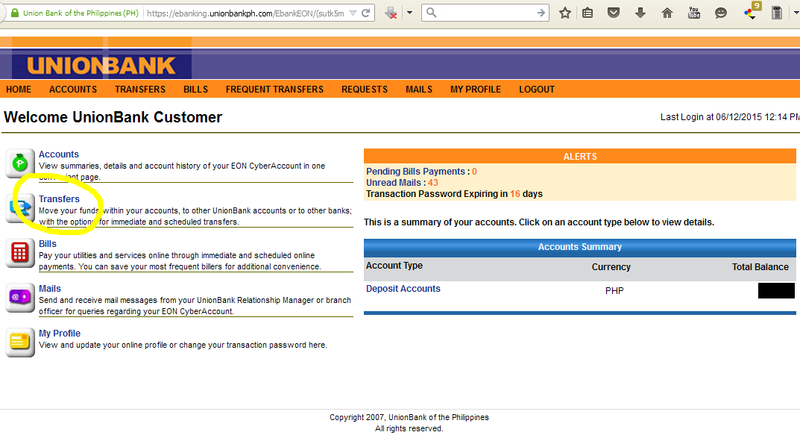 Kapag ba BPI payroll card pwede ding magkaron ng online account? Yes, Neri. Mine used to be a payroll card. Just enroll it online, pero you need to confirm the enrollment yata sa ATM. Laking convenience ano? Kaya love na love ko ang Internet. 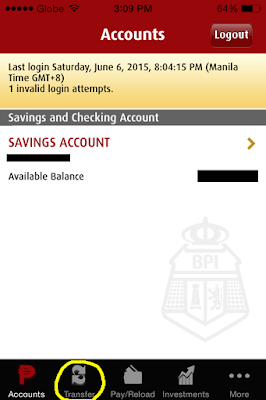 I have an online account at BPI lang. May bad experience na ako sa BDO cos hindi nila ako sinabihan na nag-increase na pala sila ng minimum maintaining balance. Yung account ko dun pang eBay lang so I don't really monitor it. When we were at Greenhills some months ago, naisip ko lang na mag-deposit ng P2k sa account ko to prevent it from being dormant. Imagine may surprise when I found out na-deduct na pala ako ng P1,200 or P300/month cos nag-below maintaining balance na raw ako. So kesa maglagay pa ako ng P2k dun, sinara ko na lang yung account ko. I asked for proofs na na-mail yung mga sinasabi nilang letters sa house namin cos wala ako nare-receive sa kanila. Palibhasa hindi malaking account yung sakin, so they didn't offer any logical explanation and mind you, hindi sila nag-apologize. Pinaka-okay pa rin sakin ang BPI although hassle lang yung hindi pag-accept ng deposit ng Family Bank sa account an under Savings Bank, and vice versa. Grabe yan ha?! 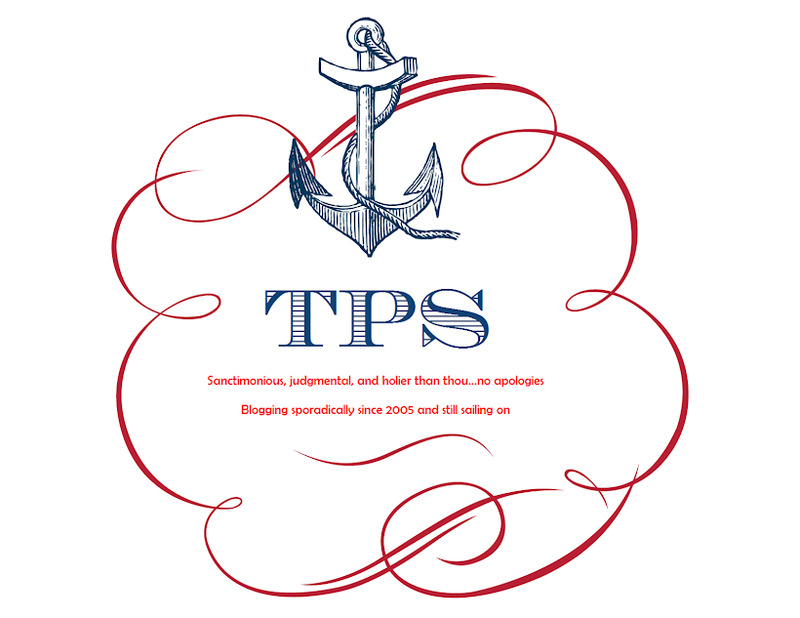 Toldya, "We find ways" [to get your money]. Hahahaha! Correct ka dyan, Mother. Quantity over quality ata sila eh. Oops! The interbank that I was saying is for BDO and for Metrobank --- BDO to any bank, as well as Metrobank to any bank. Hehehe. Hi I use BDO online banking for sending money in PH. Does this "send money to unenrolled BDO account" free of charge? Kasi when I'm sending to other local bank or cash pick-up at BDO, there's a transaction fee of Php 100.00. It's only free of charge when both the sender account and the recipient account are BDO. All others have fees. Edward, within the same bank, real time; one bank to another, ~3 days. Para sa akin, dito sa Iligan City. Mas mabilis talaga sa BPI mag deposit dahil sa kanilang ATM deposit machines. I have two accounts with them already. Kahit OTC deposit mabilis with their queuing system. Habang sa harap ng BPI branch si BDO open kahit Sabado until 5:30 PM. Kaya napilitan akong mag open ng account sa BDO at yun din ang kanilang "policy" nila na tila pipila kang nakatayo para mag OTC transaction for 10-30 minutes. Kainis! Si Unionbank din tatlo ang teller station sa branch ko pero dalawa or isa ang active lalo pag lunch break. Bagal pa naman ng systema nila. Kung hindi lang sa kanilang EON at new debit card na GetGo points sa Cebu Pacific malamang matagal na akong nag lipat. Totoo 'yang sinabi mo! Especially with BPI's online queueing. Ang convenience lang talaga sa BDO is yung weekend business hours nila, pero hindi talaga ako masaya having to stand and queue. Don't get me wrong, I'm all for queueing and discipline, pero as a customer, I feel I am entitled to a little bit of dignity than being herded like a cow para maka-deposit lang.